Pawn and Jewelry go hand in hand at B and B Loan and Gold! Naturally, when one thinks of a pawn shop they often see the parting of jewelry. They are correct, but it is not a PERMANENT parting. B and B wants to remind you that Pawn and Jewelry can be a beautiful thing when used wisely. Let us show you how. What do I get when I do pawn my jewelry? What you get, of course is a loan of cash for the value of the jewelry. Simply bring them in to the store. 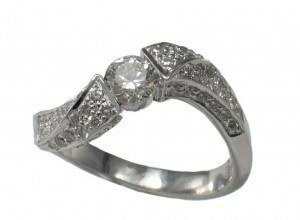 We take in Gold, Silver, Diamond, Estate Jewelry, and all other manner of jewelry. We love the look of fabulous, and jewelry is exactly that. That’s why we will give you the best value for your fabulous jewelry. Though we will need the money paid, we offer you 90 days to do so. Then we shall impart the jewelry back to you, its owner. We will miss it though. If you have further questions, click the link for more information here. Let’s talk about if you can’t cover the full amount you borrowed at the end of the 90 days. As Mesa’s premier pawn shop, we’re not in the business of stealing your items from you. While that is the purpose of a collateral loan, we always make every effort possible to serve our customers through payment plans and stuff of that nature. If you’re ever having issues paying back the loan, don’t hesitate to contact us for any reason. We will do everything in our power to help you. The best recourse is at the end of the 90 days if you can’t repay the loan, you can simply pay off the interest amount and we’ll be more than happy to rewrite your loan for another 90 days. It’s as simple as that. You can also trust that your jewelry, no matter silver or gold, diamond or platinum, will be safely taken care of and safely secured and stored. We use jewelry level safes to store all of our precious metals. We’re talking a safe that spans from the ground up to the roof, with an Ocean’s Eleven level combination lock. Our customer’s item security is the most important thing to us and this safe ensures that we can serve you to the best of our abilities. 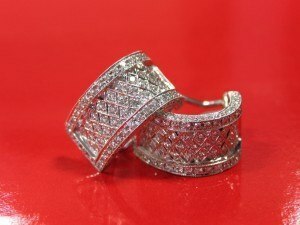 Why come to B and B Loan and Gold for Pawn and Jewelry? What’s special about them? B and B Loan and Gold has helped Mesa residents understand that pawn and jewelry are great to have. Simply coming to our store makes a situation change for the better with the pawn loans we provide. Also, our 10 years of physical presence has inspired and enriched many lives. Pawn and Jewelry never had more impact than with us over the years. In fact, it has reminded us how wonderful Mesa citizens have been throughout our time in business. We don’t limit our service to JUST Mesa though. We also show the brilliance of pawn and jewelry to our sister cities: Tempe, Phoenix, Chandler, Gilbert, etc. So don’t wait! 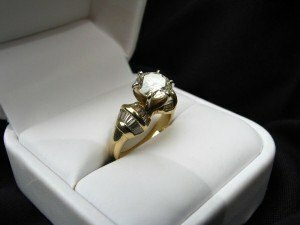 Stop by our store today and see for yourself just how wonderful pawn and jewelry can be.